The long white dresses of the women glistened in the sun as they made gestures in unison bringing their hands up to their breasts. The procession was just below the balcony of my house, the old Haitian Embassy, and the only two-story building on Addis Abba’s Fikre Miriam Road, where the residences of diplomats were intermingled with small local hovels. The specter of the women’s movements, some fat and some small, did block out all sound to me. In retrospect, there must have been the high pitched drums of the Horn of Africa and tambourines in the processional. Before I could ask myself “What are they doing?” the answer came to me: they are beating their breasts. It was the beginning of a funeral cortege, led by women in the traditional white dress with thin embellishments of bright colors on the bottom of the skirts and white shawls that lay across their shoulders. I had never seen women beating their breasts before, though I had read about it in the Bible. I think I had thought beating their breasts was literal, but these women made symbolic gestures and never actually touched their breasts. It would no doubt have been painful for them to have actually struck themselves for ten miles or so in the midday sun, but in this land steeped in Christian orthodoxy and ancient mysteries, everyday was a revelation. One evening, I was visited by a Muslim friend. We were seated in the upper reception room of my house. He lowered his voice and confided that the Emperor, the enigmatic Haile Selassie, reputed descendant of the House of David, and keeper of the remnant of the cross on which Jesus died, had gone into the mountains for several days, supposedly to pray. I said nothing, as my usual inclination in foreign countries is never to make statements about religion or politics; but, also, never to condemn what is said in my company. I was thinking how to change the particular direction my friend’s conversation had taken. My friend said that the Emperor was a sorcerer and that he had gone into the mountains to cast spells and work magic. As he spoke, the sky outside turned dark and there was a sudden flash of sunshine filled with a thin stabbing rain. Then the sky cleared, the rain stopped, quiet reigned, the sun came out, and two birds flew in a death frenzy into the large cathedral windows overlooking the staircase up to the room where my friend and I sat. He put down his coffee, excused himself and left precipitously. There was only one other day as dramatic as that during my two year stay in the resplendent capital of Ethiopia. That day, again at midday, the bright sunny sky suddenly turned black. There was a roaring noise of the people outside the compound of my house on the street. I saw my driver roll up the windows of my Ford Taunus and scurry inside his room in the servants’ quarters. Suddenly, a locust swarm as black as midnight began to cover everything. The servants closed the doors to the house and stuffed cloths under the very small spaces beneath the doors that I had never noticed before. But they kept on coming and kept on getting in. I was afraid they would drown us. My wife and I were panicky; the children, except for the baby, were off at school and that was even more frightening. I thought we are going to die, the world is coming to an end. We were doomed in the land of borrowed Eucalyptus trees (a gift of Australia that now is the national tree of Ethiopia) seven thousand feet above sea level, far away from my beloved United States. The sky cleared as quickly as it darkened; the locusts died as quickly as they seeped through every crack and crevice in the house. The plague was ended. I had only read about such occurrences in the Bible, though somewhere in the back of my mind, I seemed to recall hordes of locust filling the sky over my great-uncle’s farm in Sparta, Virginia when I was a boy. But this incident prepared me to be mentally ready for anything that was to follow in Ethiopia. I was under contract to the Canadian government to teach in the education and psychology programs at Haile Selassie University. My wife was head of the Science and Technology Library at the university and she had an ancillary job dealing with antiquities as well. Her job was very prestigious. My first chance to meet the Emperor came through her. She told me that the Emperor was coming to the university on an inspection that included her work and that I could come if I wanted to be in the visitation. There was no way I would have passed up the opportunity. We were all in a line awaiting the Emperor to pass each of us. Out of the corner of my left eye I could see the movement of people in my direction. Suddenly, Emperor Haile Selassie stood before me. I was surprised that he was short, but I only registered his height after he had passed. Before me, looking me in both eyes was a man of immense personal psychic power; his eyes looked into my soul, knowing me like no one has ever known me, in an instance. He said nothing but in that silence was more power than I have ever confronted. I still wonder today, did the power of this extraordinary man come from being an absolute monarch for over forty years, from his enormous system of spies throughout the country that kept him so informed that generals quaked in his presence, from his claimed descendancy from Solomon and Sheba, his proffered lineage to Jesus Christ, or from some divine power in the man himself? 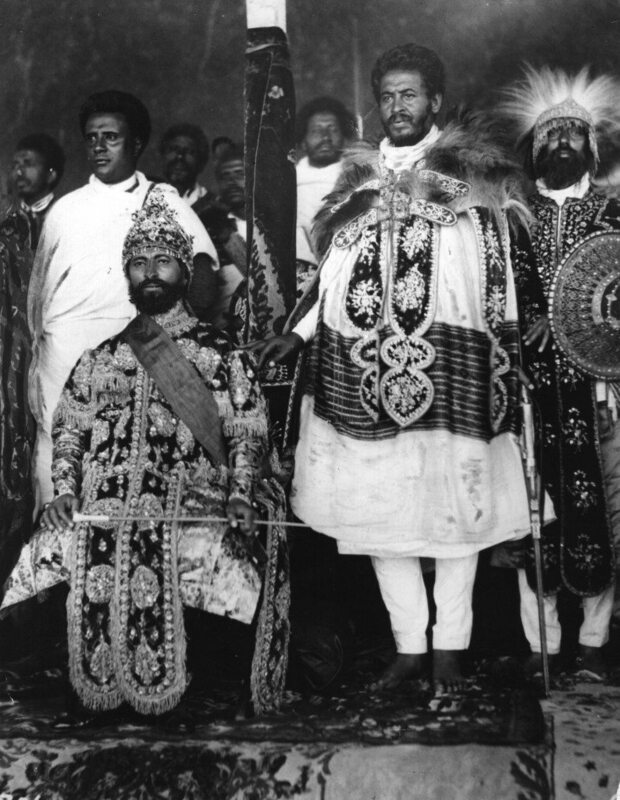 Later, I reflected that the Rastafarians had proclaimed him “God” and taken their name from his name when he was Crown Prince of Ethiopia under the wily Queen Zewditu; Ras, which means Lord and his birth name Tafari Makonnen. Few remember now that Haile Selassie was for a long time the world’s longest reigning monarch, that he led the defeat of the mechanized, gun toting Italians’ invasion in his country with men who only had spears and dressed in leopard skins. The Italians proclaimed the Ethiopians “white” because it was unthinkable that they had been defeated by Africans. Few remember that he stood sovereign in the League of Nations in 1936 and asked the nations of the earth to come to the rescue of his people again later from fascist Italians in one of the most moving and eloquent speeches ever made by a head of state. And the nations sadly ignored him. My days in Ethiopia were filled with less grandiose affairs than the historic events that captured Haile Selassie in history. They were filled with family and servants and mundane affairs. We paid our household servants better than the American embassy and taught them skills that made them marketable. Some American families were always trying to steal my cook, Astede, because I had taught her how to fry chicken to perfection like it is fried in the deep American South. Astede was originally hired as a “mamite,” nanny for the children, but I soon learned that anything that I taught her, she replicated it exactly. One day I showed her how to cook fried chicken, and she never departed from that recipe. I quickly changed her job to cook. She learned to cook Ostrich egg omelets, black eye peas (that really had white eyes in Ethiopia), collard greens and all kinds of American and European dishes copying my recipes exactly. Astede drew the line when I tried to teach her how to cook rabbit; she had never seen this strange animal before and summarily left the kitchen. I never tried that again. One young friend of mine, Asseged Dejene, was a lesson unto himself. At that time we had a membership in the swimming pool in the Hilton Hotel, owned by the Ethiopian government. Asseged asked if he could go swimming with us and we took him. The staff at the swimming pool looked at him with disdain when we got to the pool. Asseged overlooked them, took off his pants and shirt, and went to the edge of the pool and jumped in. He splashed his way across the pool as I held my breath realizing he did not know how to swim. When I asked him about it, he said he just thought he would do it like he saw it in the movies. And he had. I never again underestimated what people will attempt with no previous experience. My children learned some lessons, too. The boy in the small shabby, one room house next door often left home to go to school barefooted. My son asked me to buy him some shoes. He was really taken aback when I explained to him that the boy had shoes but walked to school barefooted to save his shoes and put them on only near the school. Ethiopia gave birth to Egypt. Ethiopia gave the world the first civilization, before Greece and Rome. Civilization spread out from the Rift Valley Region of which Ethiopia is the headstone. It, then, is no wonder that the country can produce a man like Haile Selassie. His legacy began early. When he was regent and there was an effort to have him removed from power by jealous relatives and power hungry generals who were trying to convince, Queen Zewditu, that he was dangerous, he outmaneuvered them. Ras Tafari, as he was known then, received word of his impending overthrow while he was out leading a group of his soldiers. His enemies expected he and his men would engage them in a fight at the palace. He dismissed his men a long way from the palace and walked the distance alone and entered the palace, going directly to the queen. His move was so unexpected, so simple in its execution, that no one moved against him. He persuaded the queen that he was her best ally in a humble conversation, and she guarded his ascension to the throne as Emperor. Ethiopia was full of diversity, being the oldest organized Christian country, where the head of state was automatically the head of the church, it still had its predominate Muslim population as well as other religions. Its many tribes had distinctively different traditions. Once it was the entire Horn of Africa but the Europeans carved it up into their own spheres and set up rivalries and ethnic wars, much like they have done in Europe in recent decades, which continue to be perpetuated today. 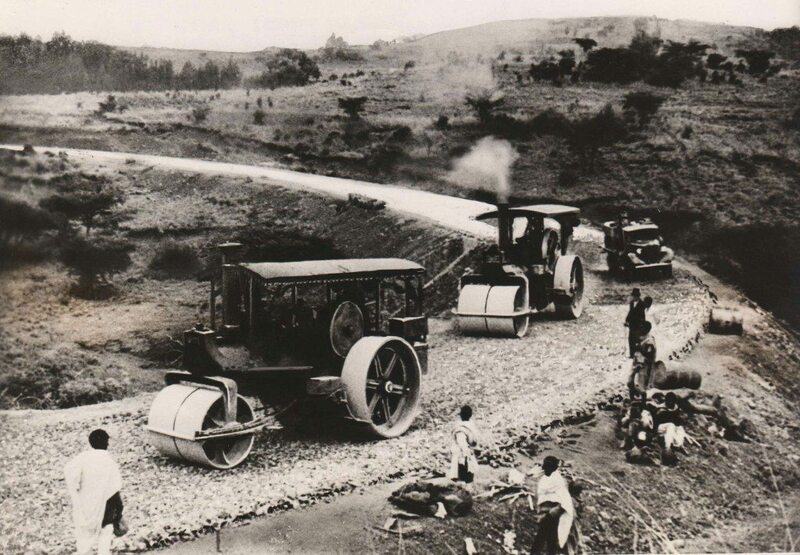 Haile Selassie is credited with modernizing the country, despite its poverty, and planning to do more towards bringing it into the 20th Century while keeping its historic traditions. The face of Ethiopia in the world today is the emaciated bodies of famine starved youth. We forget that we had a dust bowl in the U. S. that left many Americans emaciated, starving, and at wits end. It has happened throughout the world and it shall happen again. 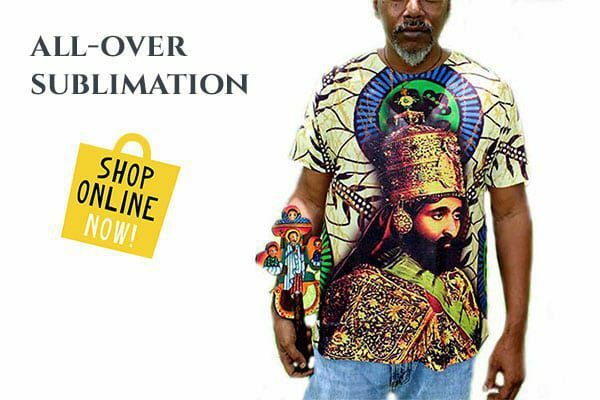 The last time I saw Emperor Haile Selassie it was at Maskal, an ancient seasonal rite. It is a feast commemorating the Finding of the True Cross and an integral part of the Ethiopian Christian Calendar. It is a national holiday and celebrated annually in late September throughout Ethiopia for centuries and the streets and rooftops are filled with tens of thousands of people on the eve of Maskal. It was in a large open area near the entrance to the city of Addis Ababa on the airport road. The priests of the Coptic Christian Church were everywhere in their fine ceremony dress, embroidered in gold, bright blues, greens and reds, and the Patriarch, or head of the Ethiopian church, was leading the processional to the open field where an elegant throne had been placed for the Emperor. Determined that my children not miss out on this occasion that we were not likely to see again, with two of them in tow, I pushed forward through the crowd. Thankfully, my parents had taught me never to be afraid to push through the crowd. 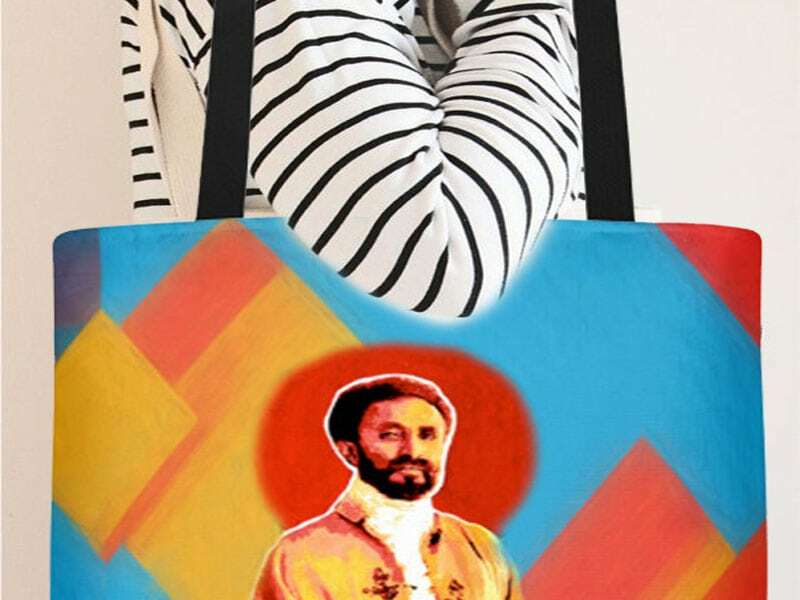 We ended up, my wife following suit with the baby in her arms, at the feet of Emperor Haile Selassie. We sat on the ground before the throne. He did not look at us. His gaze was far off into the distance as though reading time itself. The next I heard of the Emperor, a year later, was that he and his family had been deposed, he had been treated very badly, and he had been ingloriously killed. The women of Ethiopia still beat their breasts. The world changes; there is still sunshine and rain, dark clouds, mysteries, and occasionally the rise and fall of an exceptional man. © 2010 by Ja A. Jahannes. Dr. Ja A. Jahannes is a psychologist, educator, writer, and a social critic. He is a frequent columnist for numerous publications. His work has appeared in such diverse publications as the Journal of Ethnic Studies, Vital Speeches, the Journal of the National Medical Association, Ebony, the Black Scholar, Encore, Class, Black Issues in Higher Education and the Saturday Review. He was national chair of the Pan African Movement U.S. A. (PAMUSA) with Dr. John Henrik Clarke as co-chair in 1992 and 1993. Dr. Jahannes has lectured throughout the U. S., in Africa, Asia, South America and the Middle East.